Offer shoppers local payment types and currencies in their region. Our local processing network uses 30 global acquiring banks through a single integration with our All-in-one Payment Platform to process more payments successfully. You get a merchant account, payment gateway and processor all-in-one that automatically connects you to our global banks. 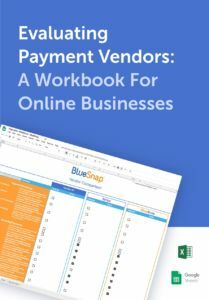 It includes intelligent payment routing plus fail-overs and subscription retries to assure maximum success rates. Our businesses have seen up to 17% improvement in transaction success rates due to our global network of banks. BlueSnap also provides you with a single set of consolidated reports, which includes in-depth payment conversion data. The Platform powers global payments in 100 local currencies and over 110 trusted payment types your customers expect. Use our global payment solution to increase sales, reduce false declines, and make customers happy in 180 countries and 29 languages. Easily enable e-wallets like Apple Pay and Google Pay to eliminate friction at checkout. Don’t ask shoppers to pay in a foreign currency — it can lower conversion rates. Use BlueSnap to enable checkout in 100 different currencies and deliver a local experience to satisfy global shoppers. Pricing in local currency eliminates two things sure to upset customers — unexpected currency conversion and cross-border bank fees. Displaying and processing in local currencies also reduces the number of false declines for your team to manage. Your team will also benefit from payout in 13 currencies smoothing reconciliation. BlueSnap can settle (pay out) in to your merchant account in 13 currencies like-for like: USD, CAD, EUR, GBP, AUD, NZD, JPY, HKD, DKK, NOK, SEK, CHF, ZAR.